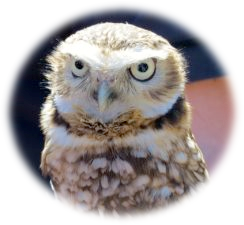 Come meet with Pluto, the burrowing owl! Pluto and Lauren Mead, biologist at the Burrowing Owl Conservation Society (BOCS) will visit the Wine Shop on May 14th 2017 from 1-3pm. JOIN us to know more about this wonderful species and the work of the conservation society. Information about volunteer opportunities will be available. Bring your camera with you, Pluto is such a cute little owl! And as always, tastings are $3 for 4 wines, with 100% of the proceeds donated to the BOCS.